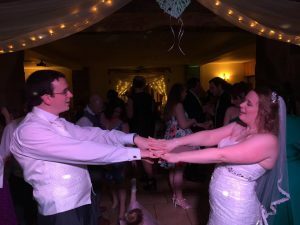 Andy B Events are proud to be recommended by Beeston Manor in Preston. 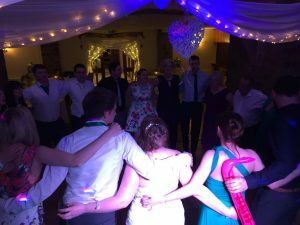 This excellent wedding venue trusts us to supply clients with all their entertainment & disco needs. 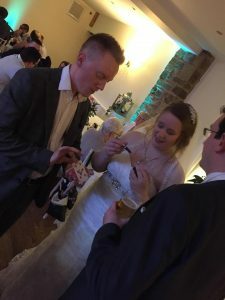 On this occasion, Mr & Mrs Samuels had hired our popular wedding DJ Gary to host the evening reception as well as our amazing close up magician Jason to keep guests entertained from the end of the wedding breakfast through till the early evening. 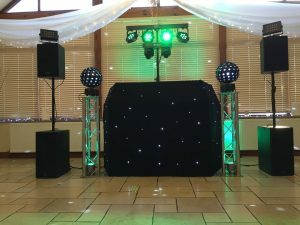 Wedding DJ Gary set up in the conservatory. Party still going strong right through till the end!